Back to school time is a time that brings on strong mixed emotions. Kids both regret the loss of summer and look forward to going back to their friends and routine. Parents look forward to less daycare costs and can be sad about how fast kids grow up. During this bittersweet time, instead of having time to grow used to the big changes, all tarnation breaks loose. Soon, homework, early mornings, after school activities, last minute dinners, and a lot of chaos. This is the moment that you can set the routine for the entire year, and largely the mood too. If you want to make sure that the transition from summer to school goes smoothly, follow these simple tips. It sounds so simple, but creating routines helps a lot of children (and adults) adjust more easily to new situations. With younger kids, use a list that they can check off each item that needs to be done each morning, and when they get home. Check out our previous blog about making mornings easier on the family. Making a list of what to do after breakfast makes it easier to get the kids and yourself out the door. The same thing works for afterschool. Make it easy to follow, and the same every day. It can include; hang your bag up, eat a snack, do homework, have mom or dad check homework, read notes, and sign permission slips…etc. Making a schedule reduces anxiety and will help with adjustment from the hazy, lazy days of summer to a busy school schedule. This will also help you as the school year goes on to help your children develop good habits regarding homework. When your child goes to school, he has been doing his level best to behave, pay attention, make friends, and hold it together. It is no wonder then, that when he is safe home with you, he doesn’t behave as you normally expect. This is tough, but some extra understanding during this period will go a long way to avoiding huge tantrums. During the first couple weeks, your child may have trouble adjusting to seeing you less than she is used to. Spending some extra time one-on-one time after school can help a lot with this aspect. Coming home and having a quiet space to relax or talk will help renew your child’s energy, and you might learn more from this than through normal conversation. Showing kids that you have a positive attitude about school, while also allowing expression of anxiety can go a long way toward alleviating fears. Talk about what school was like for you, especially if you experienced the same anxiety. Tell your kids how you were able to make friends and what is special about them that other people will like. Maybe even give them a few lines to use if they are especially nervous. Share the special things that will be happening during the school year, like a special field trip, a great teacher, arts and crafts, etc. If your child is nervous about his teacher, help him make a special drawing for the first day of class. You can also try to meet the teacher ahead of time to ease his apprehension. 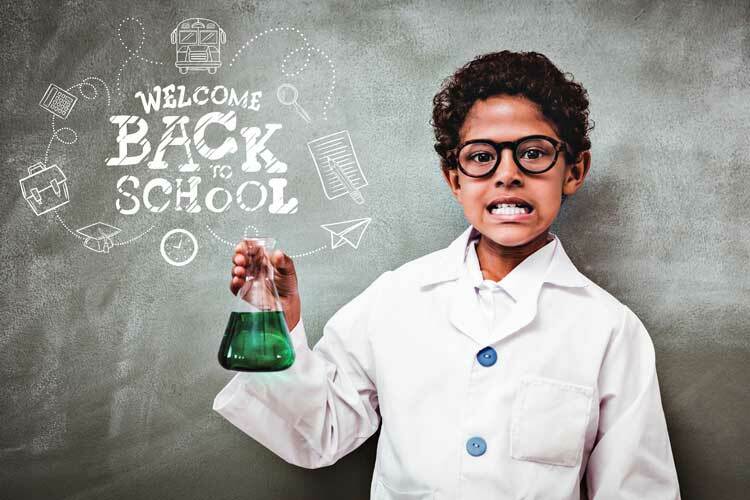 Follow these tips and ideas to help your children adjust more easily to going back to school after this summer.